Revolution Twist Pile Lounge Carpet in Mint Green (40). Lounge carpets with an 11mm depth and a soft twist pile. Guaranteed for 5 years in 13 fashionable colours. Made from 100% polypropylene. Revolution twist pile lounge carpet. Stain resistant and hardwearing carpets for your home with a hessian backing. Perfect for lounges and bedrooms. Use our handy price calculator to work out the cost of your new lounge carpet. 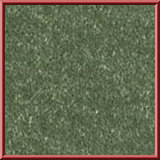 Buy Lounge carpets online with carpet stockists Abbey carpets. Revolution Twist Pile Lounge Carpet in Denim Blue (81). Lounge carpets with an 11mm depth and a soft twist pile. Use our handy price calculator to work out the cost of your new lounge carpet.